Whether you’re shopping for a new television set, baby toys, a crockpot, or the perfect shade of lipstick, it’s always more fun when you can snag a great discount in the process. Thanks to DealsPlus, an online community of bargain hunters launched in 2006, racking up savings on everything from the products you buy every day to special gifts, travel, and event tickets can become a regular occurrence. RewardExpert spoke with Ivy Chou, content marketing manager at DealsPlus, about the resources the community offers and how you can make the most of them to shop more while spending less. When the U.S. housing market bubble burst back in 2006, the cofounders of DealsPlus—Kiha Lee, Greg Kim, and Heeji Kim—realized that there was one thing that almost everyone in the nation had in common: a desire to save money. Though Americans still wanted to shop, many could no longer afford regular retail prices. These consumers had to spend a great deal of time searching for the best deals in order to maintain their budgets. 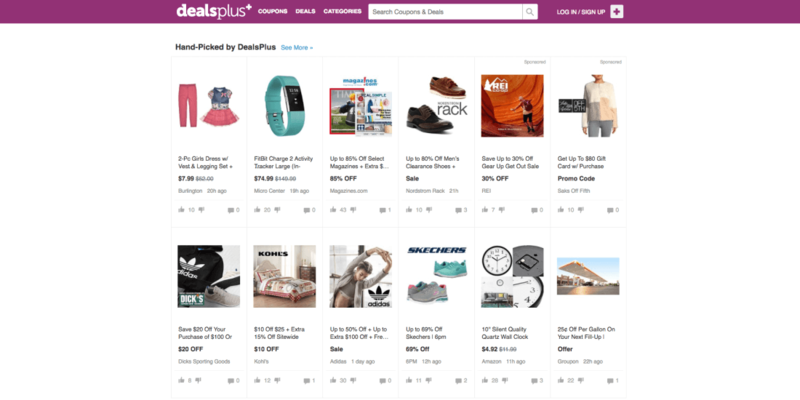 DealsPlus was created to give bargain hunters a place to share their money-saving finds—whether that be a great discount on a designer bag, a killer offer on the latest smartphone, or serious savings on clothing, accessories, beauty products, furniture, outdoor gear and more. 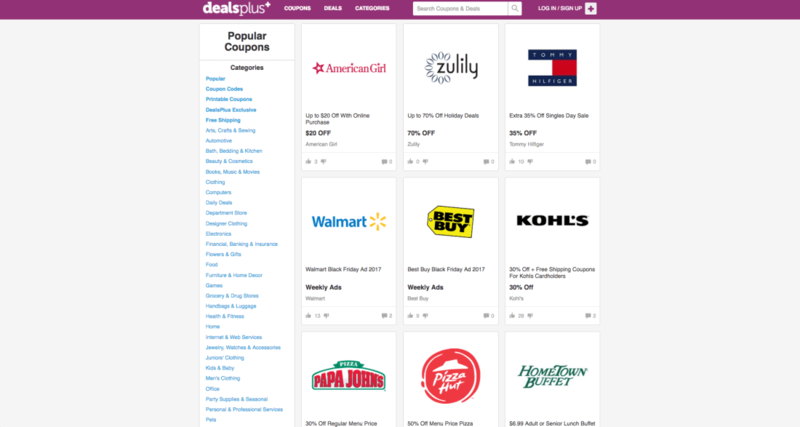 To date, DealsPlus members have shared more than 2.5 million deals and close to 300,000 coupons from over 15,000 stores. The DealsPlus website receives more than seven million visitors every month, and the company has grown from a tiny start-up to a thriving organization with offices in Silicon Valley, Los Angeles and Korea. While the home page of the site is dedicated to hand-picked deals, shoppers can quickly filter the offerings by category or use the search tool to find coupons and money-saving sales for specific stores. “We find the best deals and coupons for you for all of your favorite stores so that you don’t have to go and do all those price comparisons yourself,” Chou added.